Great opportunity to purchase two adjacent properties along Miami River (North Fork). 1100 NW North River Dr (Single Family home. Folio 01-31-35-026-0280. 3 beds/1 bath. Living area 1,400sf. Lot size 7,450sf) & 1110 NW North River Dr. (Triplex. Folio 01-31-35-026-0270. 4 beds/3 baths. Living area 2,170sf. Lot size 13,915sf). Properties must be sold together as one sale. Intended for multi-family redevelopment. This splendid, custom island home features three stories, 6 bedroom, 7 bath & 2 additional powder rooms! The 4904 sq. ft. house was built on a prestigious, 10,000 sq. ft. Mashta Island lot! This exquisite home features an elevator, marble floors throughout the entertainment areas, cherry wood floors in the bedrooms, an open kitchen with top of the line Miele & Wolfe stainless steel appliances, impact windows & doors! Bedrooms open to balconies, with the master suite having a huge terrace. 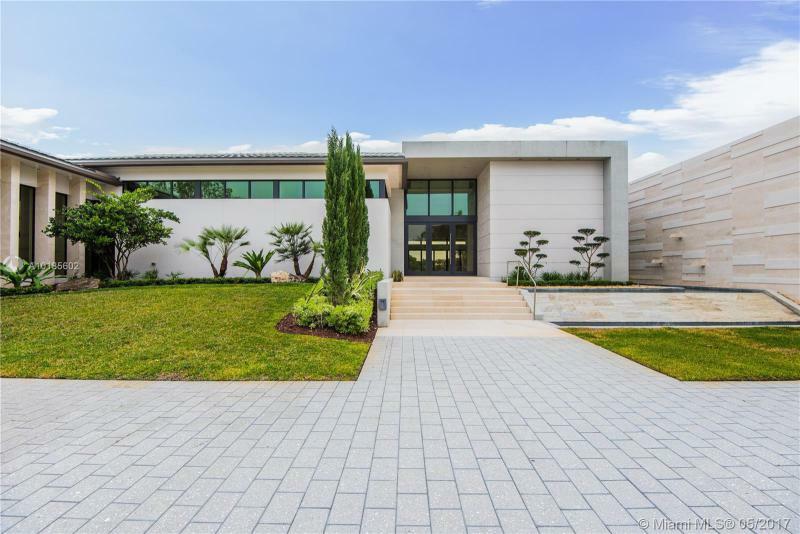 Newly built contemporary estate home located in the most prestigious community in the City of Weston Windmill Ranch Estates. This 11,334 square foot, 7 Bedroom, 8.5 Bathroom, 4 Car Garage estate was designed and built with the most exquisite taste and materials available from different parts of the world. Material used were carefully hand selected to highlight its natural beauty and detail. Stunning corner home in the sought after Islands of Cocoplum community. This is the only property with views of the Cocoplum Yacht Club Marina. Contemporary and bright, soaring ceilings and seamless outdoor access create a living area oasis. New Energy conservation features include new tile roof, low-e impact windows and doors, high efficiency air conditioning units and impact resistant garage doors. Chefs eat-in kitchen with new marble countertops. 24hr manned security at the yacht club gate next door. This beautiful two-story plantation style home in Pinecrest was recently built in 2014. Volume ceilings and French doors with picture windows allow for natural light to fill the living room, dining room, family room and kitchen while providing views of the sparkling pool and yard. The home is elevator ready, has a 4 car garage and features top-of-the-line finishes and appliances. Great for entertaining, there is a covered patio and outdoor cabana with summer kitchen overlooking the swimming pool.